Modern MG history is so fantastically complicated, it is difficult for the outside observer to make heads or tails of it. 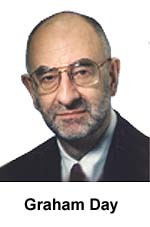 Who were the good guys and who were the bad? I guess we'll let history decide - and I've purposefully let this page languish as I try to make my own mind up on these key players. And you'll see, I've left the jury out on a number of them. So, with no further ado, here's my own little résumé of who were the heros, and who were the villians! 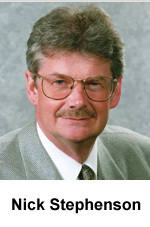 Graham Day, MD Austin Rover Group. 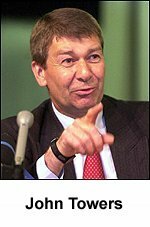 Day was the man on watch during the post privatisation era for Austin Rover, which became Rover group under BAe systems. BAe was keen to add Land Rover to its military vehicle portfolio, and being a British company had managed to buy the whole of Austin Rover from the Thatcher government at a knock down price. It is said that BAe was able to recoup much of that investment from the sale of land assets alone. Day would have sanctioned the shoe-string budget MGF, and was certainly involved in ensuring that the superlative K-series engine entered production and continued its development into larger displacements and V-engine configurations. Day was also involved in the negotiations with the German firm, BMW, keeping technology partner, and 20% share holder, Honda, in the dark. Honda was shocked discovering after the fact that BMW had purchased Rover Group - and departed the scene rapidly. And in doing so, likely as not, dashed future product plans that BMW would then have had to pick up from scratch. After the sale, Day left Rover Group to join BAe. Job done. 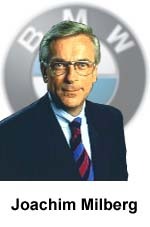 Joachim Milberg, BMW Chairman. With the unexpected departure of Bernd Pischetsrieder from the BMW top job, and the decision not to pass it on to his antagonist, Wolfgang Reitzle, the BMW board had a dilemma on their hands. Who to replace Pischetsrieder. Ultimately that passed on to "Mr Grey" - Joachim Milberg. 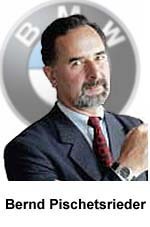 He had the unenviable task of attempting to rebuild a new business model for BMW and Rover group - presumably one that did not soak up the vast resources that BMW's accountants were bemoaning. Radical restructuring was highly likely - and perhaps closure of Longbridge with consolidation of road-going car manufacture at Cowley... so when one enterprising venture capitalist came knocking one day, asking whether MG might be available for sale, one can quite imagine that Milberg might have ripped his arm off with enthusiasm! (Take away the glasses, and he looks surprisingly similar to Cecil don't you think? ;o) Jon Moulton, head of the venture capital company, Alchemy Partners. Not obviously an MG hero- as Jon never actually had anything to do with any MG badged car. However, he nonetheless was to have a profound influence upon the future course of MG, and where we find it today. During 1999, Mr Moulton and his associates approached the then owner of Rover Group, BMW, regarding the potential sale of the company to his venture capitalist team, based upon a tip-off he received regarding the apparent stock-piling of Rover cars. Probably as much to his surprise as it was to all MG and industry followers, BMW bit the bait. From this point on, a series of events were triggered that lead to the break up of Rover group, the sale of Land Rover to Ford and the eventual disposal of what had become known in the European press as the 'English Patient' from BMW's books. Unfortunately for Jon Moulton, negotiations were to prove ultimately unsuccessful, scotching the attractive idea of a specialised MG sports car company (conceptually similar to the contemporary Lotus car company)- but it paved the way for the take over of the company by the Phoenix consortium that for the following 5 years attempted to keep the re-branded "MG Rover Group" afloat in the ultimately futile attempt to find a partner to shoulder the costs of developing desperately needed new product lines. Famous (NOT) quote: "Ten quid, and I'll take it! Hey, hang on, I was only joking!" John Towers, Managing Director, MG-Rover, and 'star' of the ill-fated BBC documentary, 'When BMW met Rover.' Towers resigned from Rover group not long after the making of this documentary in the late 90's over disputes with BMW management over the direction of that the company was taking. However, Towers (in conjunction with engineering director, Nick Stepthensen) had already laid the foundations for the rebirth of the MG brand. In 1995 we saw the launch of the MGF at the March Geneva show. The launch represented the rebirth of MG as a sports car maker, and also pioneered ingenious and novel methods of financing and engineering new cars by creating new relationships with outside suppliers to shoulder part of the cost and engineering of the car (in this case, the body manufacturer, Mayflower). Jon Moulton's interest in the MG brand galvanised John and his 'Phoenix' team (poignant name in MG circles- as it was the same name given to the MGF project!) to put in what was to be the successful bid to rescue MG and Rover from oblivion. This was greeted with jubilation by the Rover workforce who feared the massive job losses proposed by the Alchemy Partners' plans for the company. One year on, MG had launched a series of saloon cars based on contemporary Rovers- with much critical acclaim- and engineered and conceived with the same ingenuity that saw the engineering and productionisation invested in the car that started the re-birth of the company- the MGF. However, the dream period wasn't to last long. 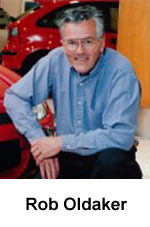 Towers was credited as being a capable manager, but was perhaps distracted from taking a more hands on role in the development of MG Rover, which was devolved to others, such as Kevin Howe. Within 5 years, MG Rover Ltd had called in the receivers, and the "Phoenix Four" were under investigation with accusations that these managers had spent more time securing millions of pounds for their own pockets than they had in trying to preserve the company. Nick Stephenson, Deputy Chairman, MG Rover, and a director of Lola cars. Founder member of the 'Phoenix consortium', and enthusiastic Corvette drag-car racer! :o). 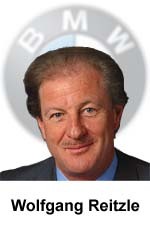 With John Towers, Stephenson was a pivotal character in the evolution of the aspiring MG-Rover car company that arose from the slash and burn that was BMW's exit from Rover Group. Stephenson was also a key player in the development of the MGF, developing the manufacturing liaisons with other companies essential for that car's productionisation. This flexible approach, being both lean in terms of investment and time of development gives the modern day MG-Rover car company more speed to react to market conditions and bring products to the market rapidly, on time and on budget- essential for the company's proposed future as a 'multiple niche player'. Stephenson's association with Lola Cars (which commenced soon after his resignation from the then BMW owned Rover group in April 1999) should not be underestimated either- in 2001 it brought us the Le Mans competitor, the EX257 that fought valiantly (qualified 1st and 2nd in/ LMP675 class, and in the race itself, ran as high as 3rd overall) before the torrential rain flood electrical systems forcing retirement of both cars. Whilst not a winning result it nonetheless drew broad critical acclaim and adoration- not to mention priceless airtime on TVs throughout the world, announcing proudly- "MG is back!" 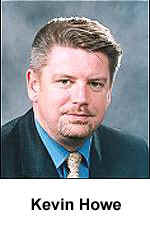 Kevin Howe, Chief Executive, MG Rover. Brought in following the creation of MG Rover car company to head up a new management team, Howe undoubtedly had a tough job on his hands- to turn around what the tabloid press termed an 'ailing' car company. But Mr Howe has a tough man reputation and set out to achieve. A former Rover executive coaxed back from Rolls Royce (Aero-engine division), his reputation of uncompromised management style initially had the unions worried according the the News Papers, and subsequently we've heard from MG Rover employees who clearly did not like him... Some strange decisions were attributed to Howe too - such as farming out development of the ZT260 to Prodrive, and then having to get his own engineering team to do it all again. He's the one who went for the Ugly duckling Rover 45/ MG ZS styling proposal, that doesn't look any better in reality than it did in the pictures. And who was it that went over all the contracts with Tom Walkinshaw's company that was engineering the new 45 before it went bust? 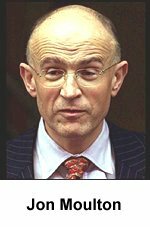 And yet... and yet... he was the one who oversaw the production of ZR,ZS and ZT/ZTT as well as their forward looking facelifts. May be the jury should stay out on this one too? Rob Oldaker, Product development Director, MG Rover. Coaxed back to MG Rover by Nick Stephenson following the momentous purchase of Rover group, Rob has been charged with the development of the new MG product line. Absolutely a car nut, as is everyone in positions of responsibility at MG Rover, Rob has been closely involved with the development of the greatly acclaimed MG saloon chassis. More focused than the Rover saloons on which they are based, they nonetheless represent an astonishing compromise between fantastic handling and reasonable refinement and comfort. Interestingly, Rob has also been involved in the last attempt by Rover to re-enter the USA market with the Sterling. Without doubt, memories of this disappointing attempt to crack the American market have stayed with him- any plans to return to the US with the MG marque will be better resourced, better planned, and will comprise of a more complete model range than a single vehicle- an oft quoted reason for the failure of the Sterling project. Given Rob's successes (awarded the prestigious "Engineer of the Year, 2001" prize by the British Motoring Magazine, Autocar, for his work at MG) we hope that the future of MG will be safe in his hands as he works behind the scenes with the new MG car company under its new Chinese owners. Dr Alex Moulton, father of the Moulton Dunlop Hydragas suspension system. 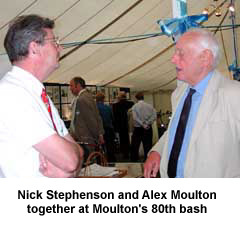 Nick Stephenson attends Alex Moulton's 80th Birthday celebration in May, 2000. Whilst it is certainly true that Dr Moulton was not directly involved in the development of the MGF, his suspension system was nonetheless a pivotal component of the technologically advanced MGF. The suspension system has numerous advantages over conventional steel-based suspension media - principally in that the interconnection, front to rear, of the Hydragas spheres enables the isolation of pitch from bump and roll suspension excitation modes (more). In English, this means that pitch - the least comfortable aspect of ride reaction to bumps and a bug-bear of short wheel base vehicles - can be dramatically reduced. For this reason, the MGF has an astonishingly good ride for a car of this class - and rivals in comfort much larger and more expensive saloon cars, despite having excellent handling characteristics. The MGF compromises on Dr Moulton's original vision of a damperless suspension system - so perhaps he wouldn't be impressed with the MGF? 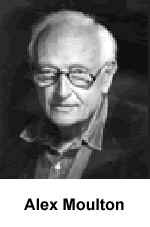 Not a bit of it: Alex was ethusive and full of praise for the car at his 80th birthday bash in Sept 2000 (an event that Nick Stephenson respectfully attended). 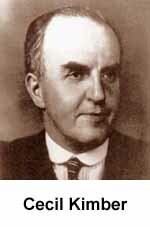 I wonder how Alex Moulton would have evolved the Hydragas system had he had the chance? I am sure that he'd be disappointed to know that the TF has reverted to an inferior suspension system... and in fact I know for a fact that he is! 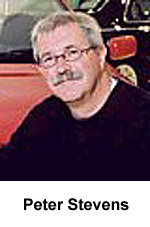 Gerry McGovern, Stylist of the MGF. 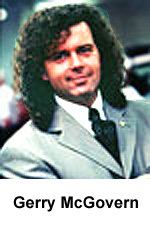 I am not sure whether I'll remember Gerry more for his permed mullet than for his triumphantly successful MGF design. I'll pass that over for now, but there is no doubt that the MGF has been a fantastic success- and is already considered a classic in some quarters. Certainly, if classic status is measured by sales, then the MGF fits the bill- in the UK it has been the number one seller in its class since 1995... Incredibly, as the design is due for its first major face lift in 2002- the original design still does not look old. At launch it was designed to hark at once back to its MG forebears and look forward into the future. This contrasting brief was made all the harder when one considers that the last completely new MG sports car, the MGB, had been launched some 30 years before. Has it succeeded? Oh yeah, and some. Sadly, Gerry has departed the MG fold- and is now designing cars for Lincoln. Hopefully he'll approve of Peter Steven's work in updating his design for the 21st century. Peter Stevens, Director of design, MG Rover. Should we know Peter as a guy who loves Fiat 500s or the man who designed the McLaren F1? I am not sure, but one thing I am sure of: this man is a car guy through and through. That MG are immensely lucky to have Peter on board as the design chief need not be emphasised; his curriculum vitae is one of the strongest in the industry. So far his work at MG Rover has been impressive. The remarkable transformation of the sometimes dowdy Rover saloons into enthusiast sports saloons was impressive, as has the morphing of the Qvale Mangusta into the X80 concept previewed at Geneva, 2001. This latterly became the controversial MG SV, but the design of the car was original and startling. His next work on an existing car will be the Mk3 MGF, that was so radically different from the MGF it gained a new name: The MG TF. This car proved massively successful, keeping the roadster at the top of the sales charts for a further 5 years before MG Rover collapse. His team also brought us the successful Rover Streetwise and more latterly, the 2004 facelift of all of the MG Rover saloon range. There can't have been a huge budget for this task, but the results were remarkable in their effect. Perhaps not everyone liked the look initially, but as I am writing this now, in 2010, the face lift cars look surprisingly contemporary 6 years on... What could have been achieved had MG Rover not gone under in 2005? We'll never know. BMW introduced massive investment at both Longbridge and Cowley to bring the ageing production plants into the current era. 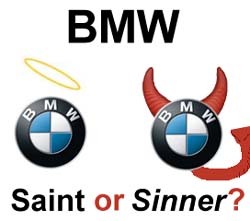 BMW quality standards, engineering values etc etc that now permeate through the company - these are very real, although many of us probably fail to fully appreciate. BMW 'rescued' Rover from the erosive partnership with Honda. At least BMW were determined that Rover should engineer it's own cars - whereas Honda appeared to hate any form of engineering independence in what it regarded as its "British subsidiary"
Engineering technology transfer - the 75 and therefore also the ZT - are probably the most complete cars Rover has ever produced (certainly since the independent Rover company became incorporated into the yoke of British Leyland...) The chassis is simply superb, and the whole car feels extremely solid, and the interior and switch gear are a cut above anything else the company currently produces. Let's hope that this is the standard that MGR will adhere to in future models - let's hope so. BMW's management completely underestimated the scale of the task and investment required to turn Rover into a world class company. BMW misunderstood the marketing and model needs of Rover group - and failed to invest both money and engineering expertise required to rejuvenate the ageing product line up. Axing the Rover 100 (nee Metro) - without a replacement - was an act of financial suicide, as the supermini was a real trade generator within Rover show rooms. Indeed, so was the whole marketing policy of over pricing and positioning into inappropriate market segments that made the cars uncompetitive. Consequently, from the BAe days where Rover group's stock was rising (with increasing market share in ALL European markets), BMW's tenure was characterised by catastrophic collapsing market share. BMW stopped all Rover involvement in motorsport. This had a quantifiable impact on marketing and public image of Rover that only promoted the staid grand-daddy image in the UK - still Rover groups' key market, despite earlier strives into building the export market. BMW failed to introduce stringent quality control soon enough - although with the new models, quality was actually very good. BMW prevented both MG and Rover brand growth by stifling development of exciting new model concepts - a move that harmed Rover's image and brand development. When BMW sold Rover to Phoenix, you need to remember that Rover group lost a significant amount - Land Rover (the jewel in the crown of Rover group) and therefore Solihull production facilities, Gaydon R&D with its museum (and therefore ALL of Rover's archive and historic material!!! ), the whole Cowley factory and MINI. Plus the land assets. And then there are the assets that were the brands of Riley, Triumph, allegedly Austin Healey (although in truth Austin is a heritage brand that was owned by MG Rover - and more latterly by the Chinese, and Healey still belongs to the Healey family) - and even the Rover brand was licensed by BMW, and following MG Rover's collapse in 2005, ownership was sold to Ford and transferred to Land Rover. In the final analysis - BMW's biggest failing was actually failing to live up to both our expectations and the promises that BMW themselves promoted. So whilst there are things that we as MG enthusiasts can be pleased about in respect to BMW's connection, on balance it has probably left the company in a worse situation - albeit one where, for the first time, MG was to be at the forefront of the now lean and out of necessity focused company. However, without the R40 prototype/engineering to replace the R45 and having removed the Mini from the Rover portfolio, meaning no new supermini to replace the now aging R25 and a very modest (in car investment terms) dowry, it could be argued that MG Rover's ultimate collapse in 2005 would have been predicted. Indeed, some speculate that BMW's calculations were based on providing just enough cash so the company wouldn't fail until after their obligations to their former UK employees had expired and the UK buying public memory had sufficiently faded not to jade BMW's own public image. Cynical? May be.